Now after the events of the first Ant-Man movie and Scott Lang (Paul Rudd) being able to go in and out of the quantum realm and Hank Pym (Michael Douglas) being skeptical of the ability to traverse the unknown dimension after his wife Janet Van Dyne became lost in it. So it seemed only reasonable that the sequel primarily focuses on heading into that dimension to retrieve the long lost Van Dyne. I’m very excited for this film, then to add Laurence Fishburne, Walton Goggins and Hannah John-Kamen, Marvel may have another successful franchise within the MCU. We are officially three out from the massive superhero team up known as Avengers Infinity War. Fans all over have been waiting with bated breath to see all of the potential partnerships that include Black Panther, Thor, Captain America, Iron Man, Spider Man the Guardians of the Galaxy and more. Notably missing from all of the promo have been Ant-Man and the Wasp…as well as Hawkeye but we’re going to focus on Ant-Man and Wasp for this one. Now there has been speculation that the two size shifting heroes will not be part of the massive fight due to their film being released in July. But has not stopped some dedicated fans from doing some sleuthing on their own and they think that have found the wise cracking, insect riding hero. Someone with the eyes of an hawk (no pun intended) seems to have found him hiding if you would on the infinity gauntlet. A day after the highly praised and positively received premiere of Marvel Studio’s Black Panther, Marvel is hitting everyone with a one-two combo with the first trailer for Ant-Man and the Wasp. It picks up following Scott Lang (Paul Rudd) after being broken out of the super max prison in Captain America:Civil War. Scott, talking to Hope Van Dyne (Evangaline Lilly) is questioming whether would she have been by his side during the epic Avenger battle royale in Berlin. We find out both Hope and Hank Pym (Michael Douglas) are on the run from the authorities. Which leads us to believe they may have either helped break Lang and the other Avengers out with Captain America or they may have just been on the run knowing the authorities are looking for Scott. Overloaded with action and fun this sequel is sure to raise the bar in which it’s predecessor set. Check out the trailer for yourself and see Ant-Man and The Wasp when it hits theaters July of this year. Don’t you just love it when you hear “mystery role”? Doesn’t it get you hopes and anticipation just fired up for a project? Well this one is definitely one of them. 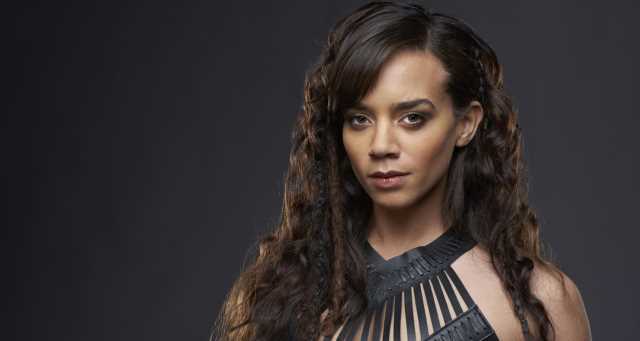 According to Variety, Hannah John-Kamen (Black Mirror, Game of Thrones, Killjoys) will join Paul Rudd, Evangeline Lilly and co. in Marvel’s Ant-Man and The Wasp. Now her specific role as of now is being kept HEAVILY under wraps but Marvel is saying that it is a “key role”. Apparently, Marvel had been meeting with actresses for this part for months before finally being “won over” by the 27-year-old Brit. Any ideas who she might be playing? Do you stick with just Ant-man villains or do you look further in the Marvel Universe. Peyton Reed returns to helm Ant-Man and The Wasp from a script by Gabriel Ferrari. The movie is set for release on July 6, 2018.